Following a successful bid in 2018 of £1.2m from the Home Office, Hounslow Council today (Monday, 21 January) launches a new project. Following a successful bid in 2018 of £1.2m from the Home Office, Hounslow Council today (Monday, 21 January) launches a new project aimed at fostering trusting relationships between frontline staff and children at risk of child exploitation. 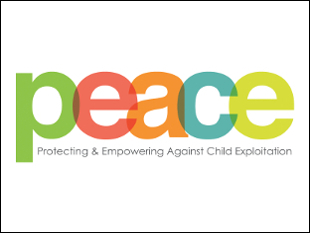 The PEACE (Protecting, Empowering, Against Child Exploitation) project aims to address issues of both Child Sexual Exploitation and Child Criminal Exploitation across the borough by utilising a mixture of assertive outreach work, systemic family therapeutic intervention and a contextual safeguarding approach to minimise risk to children vulnerable to exploitation outside of the family home. This extremely exciting project will build upon Hounslow’s work with children, young people, families, schools and the community. The PEACE project will work with local partners and specialist organisations to create better outcomes for children. It will consist of a project manager, family therapist and three experienced outreach workers. In collaboration with our partners from specialist organisations, the PEACE project will deliver direct work with young people, parenting groups, interactive workshops in school, sports and arts based youth groups, and targeted sessions in the community. Councillor Tom Bruce, Cabinet Member for Education, Children and Youth Services, Hounslow Council said: “We are committed to providing support for children and young people at risk of sexual and criminal exploitation, and I believe this campaign will allow us to bridge those gaps and continue to provide care and support to vulnerable children and help them more as they integrate within our borough. Safeguarding children from exploitation is everybody’s responsibility. Any child can be a victim of sexual exploitation and criminal exploitation no matter what age, culture, ethnicity, religion, whether a boy or a girl. If you’re worried that your child or a child you may know maybe exploited by others, either to commit or engage in behaviour which is sexual in nature, please contact peace@hounslow.gov.uk or call 020 8583 6363.